The HaYamin HeHadash (New Right) party, led by Ayelet Shaked and Naftali Bennett, criticized former Benny Gantz, head of the Hosen Yisrael (Israel Resilience) party on Sunday, who published a series of video in which Gantz boasts of the counter-terrorism results of the 2014 Operation Protective Edge. "Benny Gantz today launched a campaign that boasts its" successes "in the Protective Edge operation." Since we are dealing with the future of the Israeli defense leadership, we must present the truth, "said the new right. .
"Benny Gantz fell asleep getting up to deal with the Gaza terror tunnels, which almost led to a terrible disaster of terror: we went to destroy the tunnels during the Protective Edge operation not due to Benny Gantz, but despite Benny Gantz, determined that Bennett had pushed the action, Benny Gantz blocked this action. " "As the state controller's report said, Chief of Staff Benny Gantz fell asleep standing up and allowed Hamas to excavate about 30 terrorist tunnels from Gaza into the territory of the State of Israel, did not start anything, not he pushed for a solution: just asleep on duty, he hesitated for 50 days, showed no initiative, showed no creativity and failed to defeat Hamas, "added the new right. 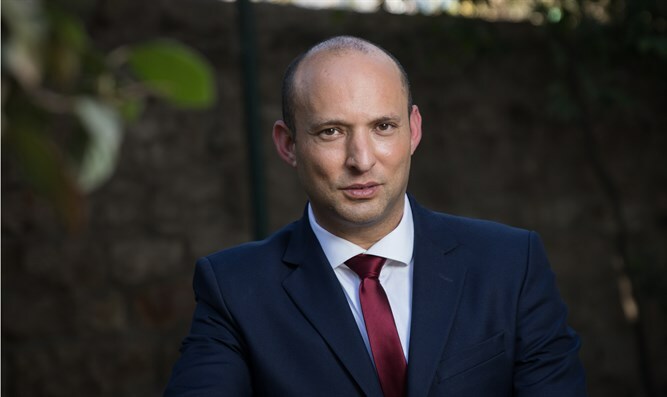 The statement came after the Israel Resilience party released a series of videos titled "Only the Strongest Win", in which Gantz prides himself on eliminating Hamas chief of staff Ahmed Jabari and 1,366 terrorists during the operation Protective Edge, in addition to destroying 6,231 goals. In addition, a video was released in which Gantz calls for a peace agreement, saying: "I am not prepared for a generation to live here without hope".